The new web application Inside Bruegel provides unprecedented access to high-resolution images of the twelve paintings by Pieter Bruegel the Elder in Vienna, also in infrared and X-ray. 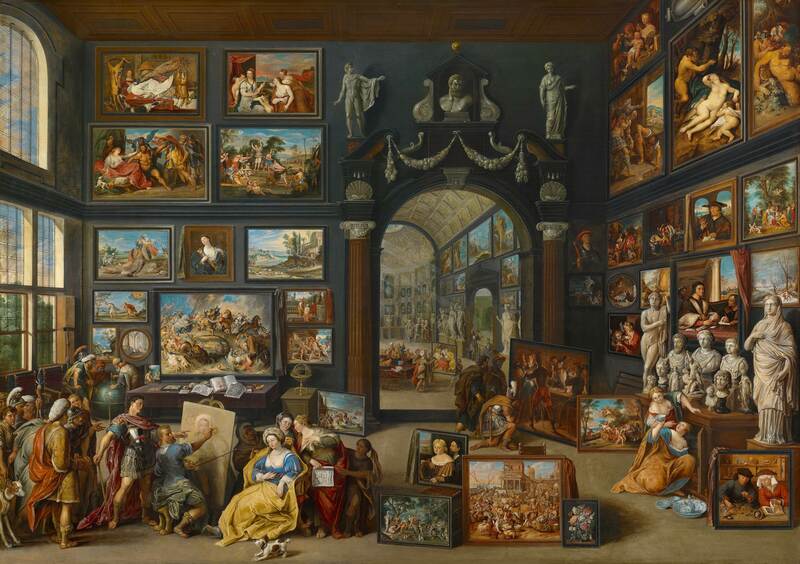 The site is an initiative from the Kunsthistorisches Museum (KHM), in conjunction with the comprehensive research and documentation project on the KHM’s rich Bruegel holdings. From 2 October 2018 through 13 January 2019, the results of this project will be presented to the public in the exhibition Bruegel. Bruegel’s Children’s Games on Inside Bruegel showing the painted surface next to a x-radiograph and an infrared reflectograph. The main goal of Inside Bruegel is to provide global and lasting access to the extensive imaging that resulted from the research. The web site was conceived and coordinated by Elke Oberthaler (KHM) and Ron Spronk (Queen’s University, Kingston, Ontario; Radboud University Nijmegen), and produced by Universum Digitalis (UD), Brussels.